Yep, I’m a major Oscar junkie and I’m thrilled that I’ve been asked to hang out on the Happily Ever After Thoughts blog today, especially since this week is a special one. Not only is it Oscars Day, it’s National Eating Disorders week. Wait…wait! Hear me out! Why is that important? With over half of the US population being overweight and a high percentage of those sitting in the obese category, it’s important to simply be aware. Now before you do the obligatory eye roll and link to something else, bear with me, this does apply to the book I’m pimping. 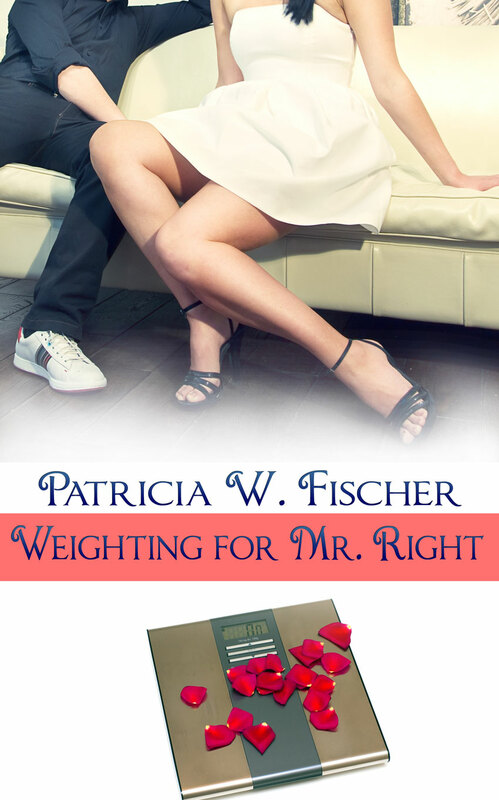 My romantic comedy, Weighting for Mr. Right, tells the story of Megan Sayla, a woman who simply decides to take control of her life at the last possible minute. During her journey to get her life back, she starts to put herself first and take her health in her hands, but she discovers that the decisions to eat right and exercise aren’t always met with unicorns and rainbows. I wanted to write a romance that ended up being something new, different and with another perspective. Yes, it’s a lot like a Cinderella story, but I liken it more to Man Of La Mancha, except Megan isn’t a prostitute and the hero isn’t crazy. Sorry, I digress. With the popularity of shows like Celebrity Fit Club, The Biggest Loser, Extreme Makeover—Weight Loss Edition, it made me wonder what happens when you change your weight? Because it’s not only about being in a smaller size jeans, you’ve got to change everything around you, how you eat, what you eat, how you socialize and those things will change who you hang out with. And I think this change paralyzes so many people. One point I want to make here, this isn’t a fat girl got skinny and her life got great book. I didn’t want to write that story because I don’t think it applies to the majority of the population. In fact, I don’t have her “get skinny” but healthy and mindful and still wonderfully flawed. There’s even a major scene where I have her distressed over the fact she’s consumed a half roll of cookie dough and derails her momentum. Like many of us who always worried about those stupid numbers on the scale, we’ve become too preoccupied with numbers instead of health and Megan does start that way. She’s been so focused so long on the scale that she loses sight of what she can do instead of allowing those numbers to tell her she can’t. Megan comes to discover she’s hiding behind the “I can’t because I’m fat” shield for too long and is thrown into a situation far outside her comfort zone and has to sink or swim. During the course of her journey, Megan has solid people helping her along as well as those who try to derail her success. Again, she’s like so many people I’ve met over the years and like myself, had to figure out how to come out from behind that shield and appreciate the body and abilities I have. I’m proud to say in the past year, I’ve dropped forty pounds and feel far better than I did before. I’m still overweight and I’m still working on improving my health, but I’m not obsessed with it and I don’t fret over that scale. For more information about Megan, an excerpt of the book, and my other writing projects, come by my website or visit me on Facebook, Twitter, or Pintrest. You can purchase Weighting for Mr. Right at Amazon, AmazonUK, SoulMate Publishing, Barnesand Noble, or Kobo. Leave a comment for a chance to win Weighting for Mr. Right or a $20 gift to Amazon, Barnes & Noble or iTunes. 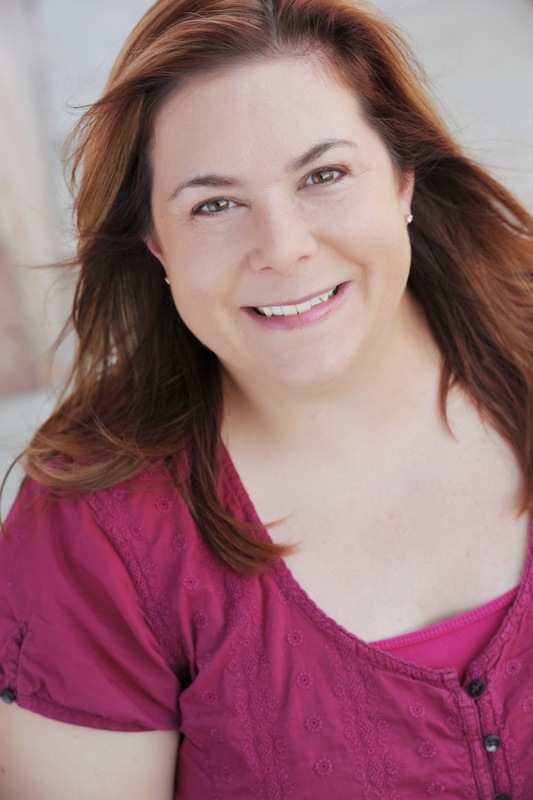 Welcome Patricia! So great to have you on HEAT. I have to say I completely agree with you. Eating healthy is more important than (gulp) dieting. Besides, the minute I decided to "diet" I get hungry! Thank you so much Alexis for having me on HEAT. I loved writing the article and I hope you all have fun reading the book. Congratulations on your improved health!and on your release.This sounds like a 'weighty' book (pun intended) and the cover is lovely. It's sort of sad that we judge ourselves more critically than anyone else, isn't it? I can remember a weight loss of my own and having to point it out to someone. It still stays with me that they didn't notice BECAUSE that person loves me just the way I am. So like your heroine and yourself we have to learn to do what is good for ourselves and not for others. That is the real satisfaction. Wishing you success with this release! You're right Tina, we are horrible about our own self-image and perception. The sad part of it, when someone compliments you, do you find that you disagree with them almost to the point of arguing? "Oh, no, no. I don't look that great." It's almost as through we feel guilty for agreeing with a positive comment. Why is that? Why can't we simply accept we are fantastic? I wish for all women that one day we all feel comfortable in saying "You're damn right I'm amazing!" and not have one inkling of guilt about it. Fantastic reality with a happily ever after ending! I can imagine that you put very real feelings into this story and that always makes a novel touch readers. Do you have other novels wehre the characters have "real life" problems? Yes, I'm working on books 2 and 3 of this series and have others in the WIP pile. The second book is about the cousin in the first and the third is about the sister of the hero. I'm thinking of adding another character between those two books to bring in a fourth story. Still working on that. I know you want a character that's not perfect because who wants to read about perfect people all the time? I don't. Yes, many of the things I put in the book were people I'd seen, experiences I'd been through, and stories others told me. Amazing how something as "simple" as losing weight can change everything. I hope you enjoy the story and please let me know what you think. Congrats on the release and your forty pound loss, both major accomplishments. Your storyline is universal and learning to view any weight loss as a learning platform is so key to change. I look forward to reading your book. Thank you Lyndee! I'm finding every part of the journey is interesting and a learning experience, but also frustrating, annoying, and of course fantastic when you get to another small goal. Congrats on your book and weight loss! I like to read about flawed characters. Thanks Jolene. As much as I love Don Miguel de Cervantes, the crazy hero is hard to wrap my brain around, but the story of the "fallen woman" isn't new. The Bible told us of many, but the want to be seen for something good remains. I think we all want to be noticed for something amazing, even if it's something small. Terrific post, Patricia. Congrats and great timing! Thanks Willa. It was great fun writing these characters and seeing where they'd go. I had no idea how far Megan would allow us to see her fall, but she stood right back up and kept going. She tripped a few times, but never lost her ability to laugh about it. I think that's something people often do. They forget to laugh about their imperfections. Terrific post! All of my life I was obsessed with the scale. I could lose weight but it always came back. It wasn't until I became more... mature that I realized it wasn't all about appearance. I'd much rather be healthy and be at peace with myself. I think its sad when I see new stars that look great to begin with, then a few months later they are skin & bones. Keep giving us characters we can relate to - we need them. Oh believe me my friend Joni, I have many characters we can relate to. I worked in the ER for years. There are many jewels tucked away in my head, I just have to pull them out one at a time. Yes, even last night, Seth McFarland made a comment about "the flu" all the women get about three weeks before the Oscars. He smiled and said, "It really paid off ladies. You look amazing." I think there's nothing wrong with outer beauty, but when you decide that's all you are, there's a problem. The same can be said for covering yourself up with hair, eyebrows, heavy clothes, etc and demand people see you for your inner beauty only. It's a balance of the two and I'd go for healthy any day.